Today's card is my first attempt at a shaker card....and it's also probably my last!! Ugh, this card was such drama to put together that I almost completely gave up and thought about not having a card for day 22! Perhaps one day....waaaayyy in the future I might try it again; but definitely not anytime soon! Kristina and Jennifer McGuire made it look SO easy; but I tell ya, I just struggled with it!! 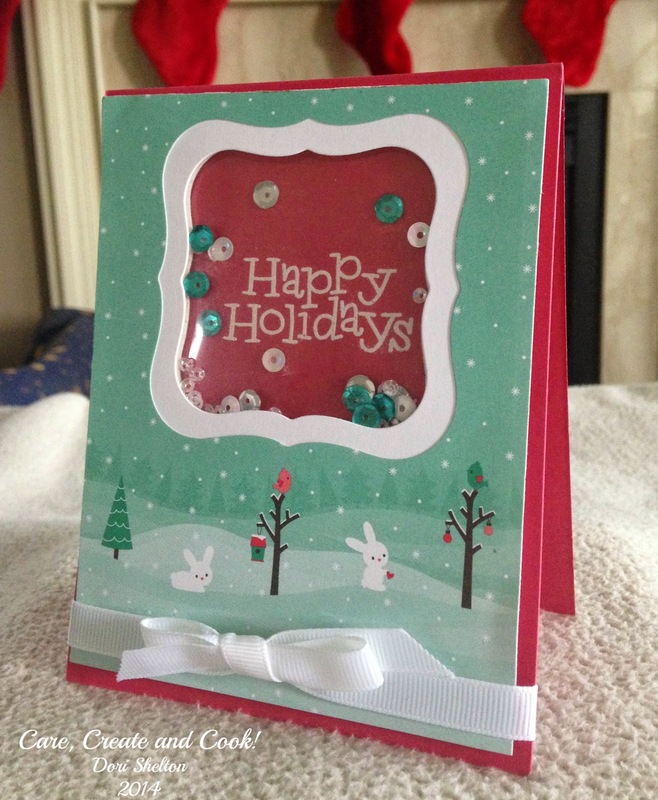 Things are getting busy around here with final Christmas preparations this week, so these last few days of Christmas card posts are going to be quick and easy. 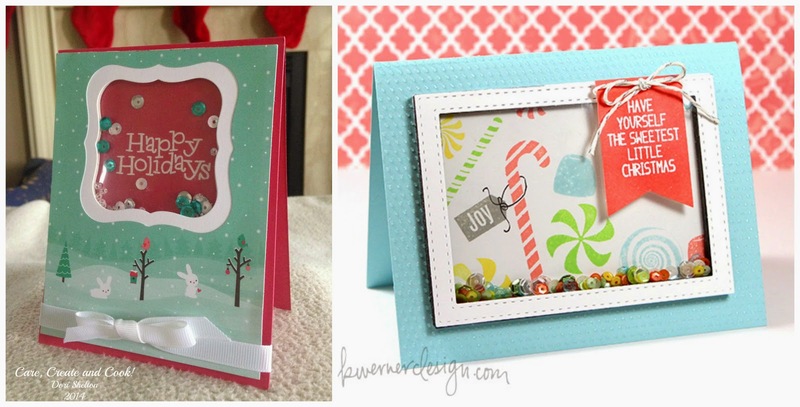 Here is the side by side of my card and Kristina's. Thanks so much for visiting me; and I'll see you tomorrow for Day 23!